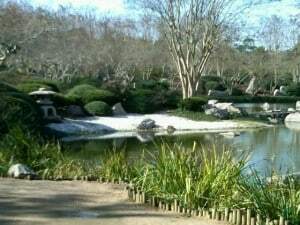 Inside Hermann Park, in the Museum District, is a Japanese Garden. Fenced off from the rest of the park, the Japanese Garden is a little retreat within the bustling city. 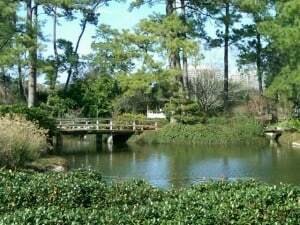 It has waterfalls, bridges, paths and benches between crepe myrtles, azaleas, Japanese maples, dogwoods and cherry trees. 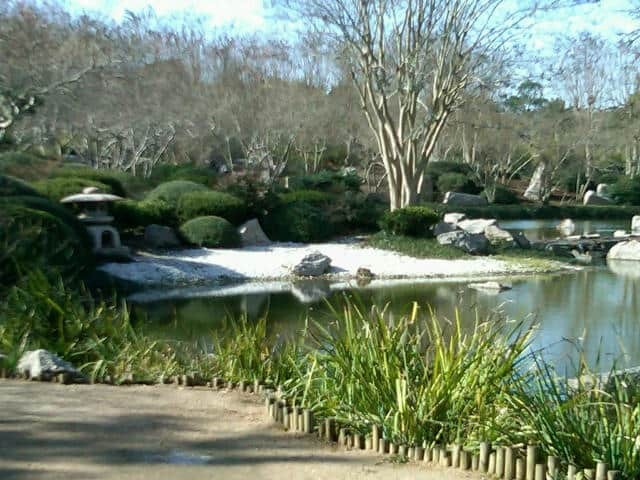 The Japanese Garden is located in the middle of the park, near the reflection pool. 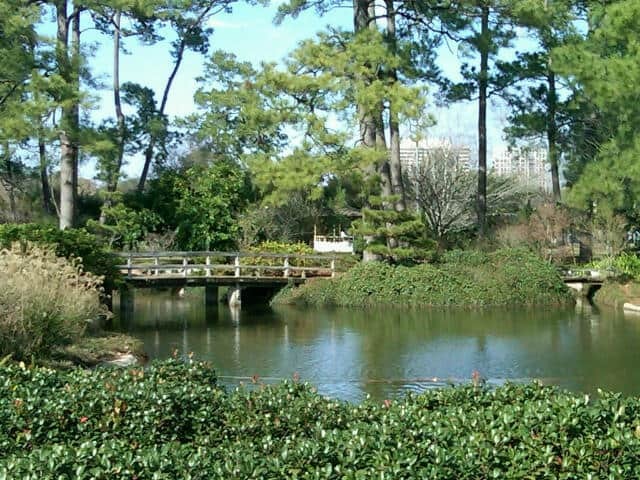 Parking is free in any of the Hermann Park lots. The METRORail Hermann Park Station is just a short walk from the park entrance. I had thought there was a small entrance fee, but it appears that this is gone and the gates are wide open for anyone who wants to visit from 9:00am to 5:00pm. Among the 30 or so people inside the Japanese Garden on a winter break afternoon was the BigKidSmallCity crew. We wondered around the paths, looked at the waterfalls and sat on the benches. There are several bridges but the kids quickly found a tiny bridge, in the middle of a tiny stone path, that they played on for an hour. The garden paths are on a very small scale and perfect for little explorers. I sat on the nearby bench, with a sleeping baby, while Joe and Brooke walked over the bridge, sat on the bridge, sang songs on the bridge and declared themselves king and queen of the bridge. They wandered up and down the connecting path and had a thoroughly good time. I was happy to learn that I was just too big for their bridge and it would be much too dangerous for me. So, I sat in the shade and enjoyed the show. This little garden is a very relaxing little spot in the middle of the city. If you look up, you can see the medical center and the Hotel Zaza. 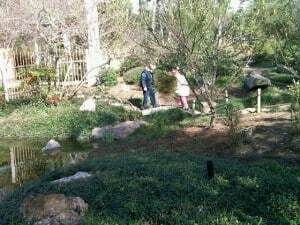 If you look down, you think you’re in a secluded Japanese Garden. We suggest you go check it out, and try to find our favorite kid sized bridge!